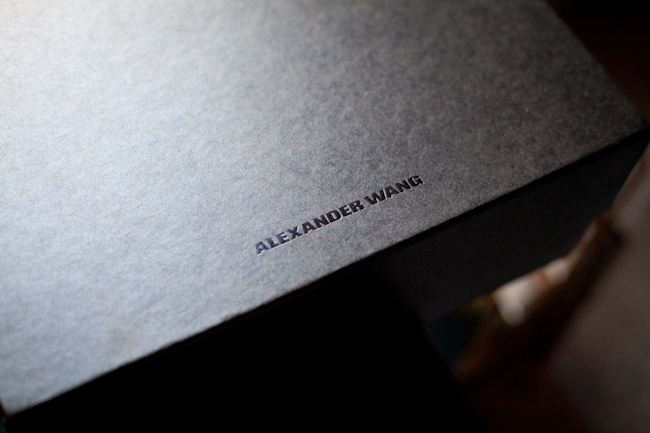 Let me introduce you to my favourite designer – all hail Sir Alexander of Wang. The man just gets me, with his tough yet subtle aesthetic, quirky detailing (studs on the BOTTOM of bags – hello?!!) and his love of black. His clothes, and especially his accessories, are always on my wishlist (take note loved ones in need of ideas for Christmas!) and he’s one of the only designers I’m willing to part with my hard earned cash for. For him I will unashamedly make absurd justifications like, “it’s an investment piece” or “when you consider I’ll be wearing it every day, it’s really worth it! 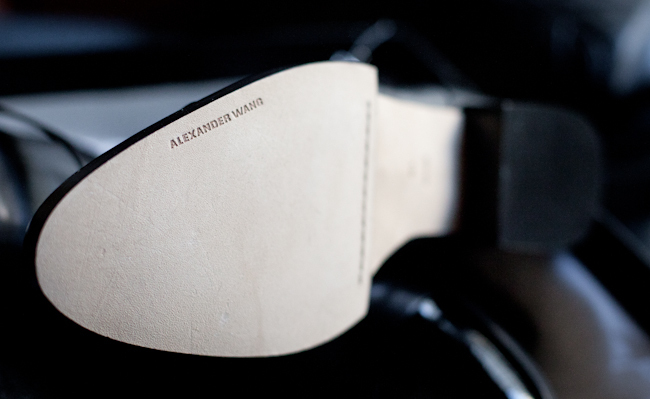 !” An early Christmas present to myself (you really can’t rely on those loved ones) was a pair of boots from his Fall Winter 11-12 collection. With only a small window before the Berlin snow starts falling and these babies are relegated to the spring, I might have to resort to wearing them in the house with my PJ’s… well I’ve got to get the wear out of them haven’t I?!! Winter is fast approaching here in Berlin and in the last few months my main priority has been to find a pair of boots that will survive the bloody thing! Last year I ruined two pairs of shoes which just weren’t up to the extreme conditions (-15 anyone?) so I was determined to find a boot that could withstand it all and not look like something my granddad would have worn. Well chaps I think I’ve found them. This pair from Dr. Martens laughs in the face of winter with a sole that is, in their words, “oil and fat-resistant, tough and offers good abrasion and slip resistance”. Yes, yes and oh hell yes! 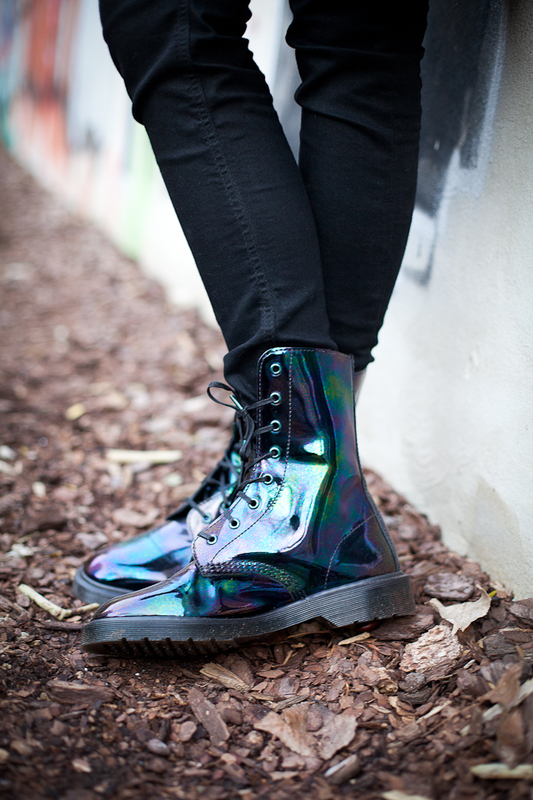 And to combat those winter blues, I’ll be walking through brown slush in petrol-like multi-coloured patent babies that make me smile when I look at them. Come on winter – I’m ready for you!